If you want to know a really greedy and dirty way of meeting energy needs, its the so called green EU energy coming from biomass: i.e. burning trees. But it's "renewable" so that's alright, right? As for Corbyn, he's a principled anti nuclear campaigned who's committed to spending billions on a nuclear weapons system if elected. Some principles, huh! That'd be your NHS bill right there.... and tact and diplomacy? He demonstrates neither of those qualities on a regular basis. Diplomacy and principles really don't go hand in hand at all. The whole point of diplomacy is to slowly bend someone to your way of thinking, by slowly bending your way of thinking to theirs. And to try and think this can be achieved with religious fundamentalists? Lastly, as I said, it's the "we" I object to. You seem to assume that because I'm not a Labour supporter I'm a tory. Which is exactly the problem: party politics are a cancer, a divisive force that pits "us" against them. Rather than focussing on actual issues everythong turns into a mud sling. 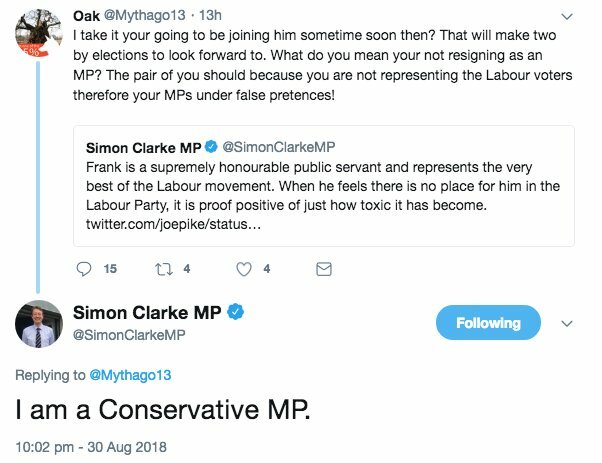 As the Labour and Conservative parties both demonstrate on a near daily basis, they don't soeak with a single voice, they bicker and squabble just as much internally as they do with one another. Yet you refer to "we". And that there is what makes it so entertaining to watch from the outside. He's not far-right, he's a normal left-wing Labour activist who disagrees with the path Momentum want to take the party down and helped get someone else selected as candidate for the forthcoming by-election. So he's had his character assassinated by some high-profile Corbyn supporters on Twitter, who've trawled through his past to find something they can present that makes him look bad when taken completely out of context. Basically, he's been suspended for pointing out that ISIS are evil fuckers. And the fun part is seeing the rabid mob spitting their vitriol at him and anyone who tells the full story, the lack of self-awareness is just astonishing. 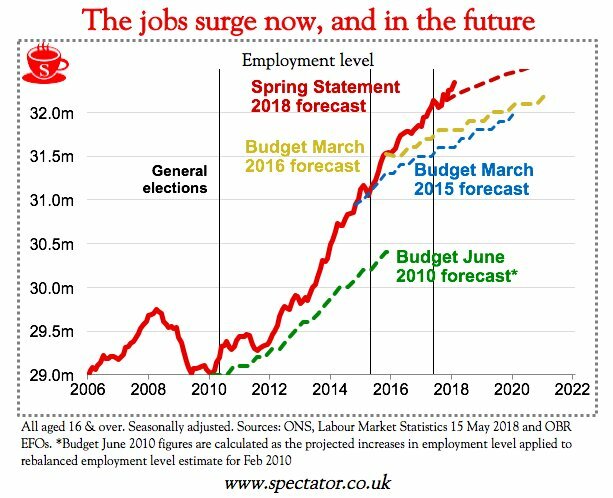 Indeed... after nearly a decade of draconian cuts, low corporation tax and taking benefits away from people with disabilities... employment is nearly back to its pre-2008 crash levels. So your point is, emphasise just how much damage the government of the time did? Be thankful they haven't been back since? It'll be due to all the foreigners coming over here taking the jobs. It would be good to know how people employed in zero-hour contracts are categorised, the ONS also published estimates in April 2018 that it was 901,000. Also from a biannual survey of businesses it indicated that there were 1.8m contracts that did not guarantee a minimum number of hours, this represents around 6% of all employment contracts. Now recruiting lettuce pickers at a farm near you (with guaranteed hours). "For April to June 2018, there were 780,000 people (not seasonally adjusted) in employment on “zero-hours contracts” in their main job, 104,000 fewer than for a year earlier." Ta, interesting to see some of the figures.